Smith cast iron boilers offer a large selection of steam and hot water boilers. 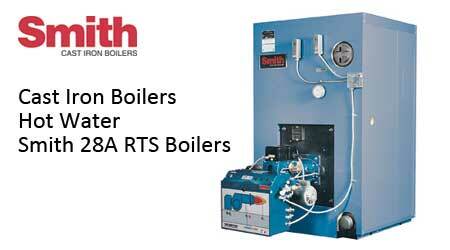 RTS series boilers are available in 15 sizes from 900 to 4,270 MBH with high efficiencies. Fired with oil, gas or both. Cast iron smoke hood with integral fail-safe breeching damper that is easily adjustable and locked into position.